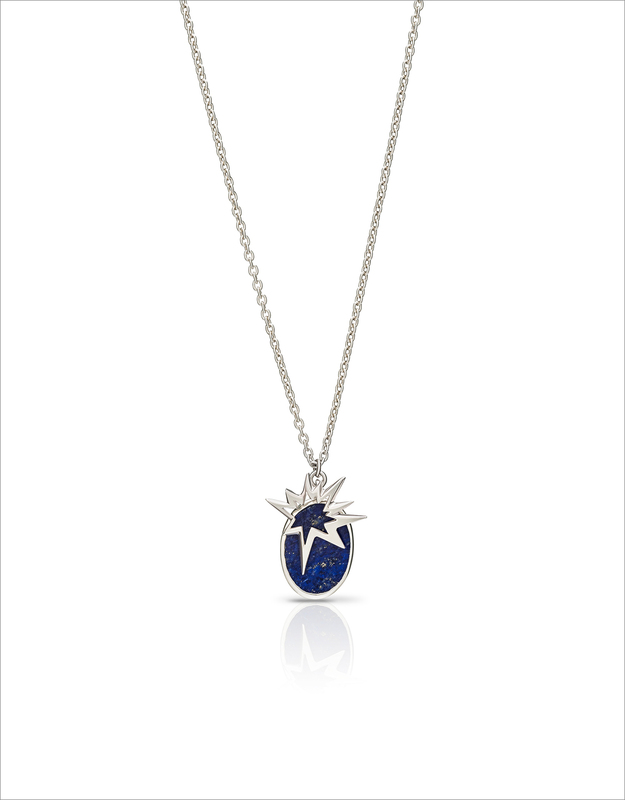 This simple and delicate necklace is made of silver and lapis lazuli. It is a modern and unique design, beautiful both front and back, made for those times when your necklace flips. The stunning simplicity of the necklace is a great addition to any outfit that you put on, making you shine 'Brighter than the Sky'. Silver and lapis lazuli. You can choose the colour of the stone, blue lapis, green agate or golden tiger's eye. Please send us a message hello@curated-crowd.com, and we will get in touch as soon as possible.